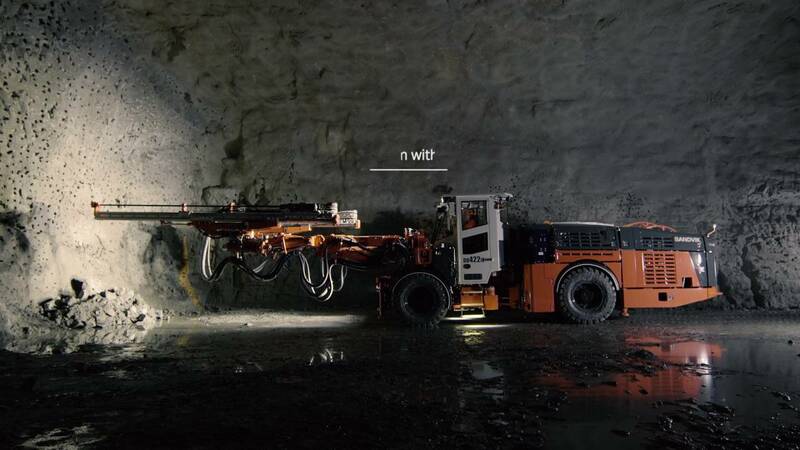 Sandvik DD422iE is an electric mining jumbo designed to drive down production costs while reducing the environmental impacts of drilling and tunneling. Major benefits of this innovative electric drill rig include zero emissions during tramming and improved productivity. The drill rig's well-designed, structures and proven components ensure a reliable workplace for both operators and maintenance crews. Using the onboard battery, Sandvik DD422iE produces zero emissions while tramming, contributing to the health and safety of underground workers. The elimination of diesel particulate matter (DPM) and other engine emissions may even help reduce the mine's ventilation costs and lower its energy consumption. Eliminating the diesel engine potentially even reduces the need for expensive infrastructure to transport diesel fuel to the underground mine. Freedom from fuel logistics provides major cost-savings potential and further improves the safety of underground operations. This rig's power system uses the existing electric infrastructure during drilling to recharge the battery and load the battery while tramming downhill, thanks to the regenerative brake system. There's no need to worry about power outages, as this rig keeps on going – from one mine site to the next, thanks to the multi-voltage-compliant universal electric system. By drawing reserve power from the batteries during peak loads during drilling, the jumbo's intelligent power management system helps meet ever-increasing productivity requirements despite limited underground electric power capacities. Helps reduce overall diesel particulate matter (DPM), nitrogen oxides (NOx), and carbon dioxide emissions in your mine, creating an improved underground environment for workers. Charges your batteries during the normal drilling cycle and downhill tramming. Better drilling performance with our active power compensation system. By using electric energy from an onboard battery during tramming, Sandvik DD422iE produces zero emissions while maneuvering between headings. This improves health and safety for miners working underground. Less diesel usage in your mine can ease ventilation requirements while also reducing associated diesel logistics and maintenance expenses. Sandvik DD422iE helps you cut operating costs across the board. Improve your drilling performance through Sandvik active power compensation. The jumbo's intelligent power management system helps you meet ever-increasing productivity requirements despite often limited underground electric power capacities. Coupled with its smart battery charging system, Sandvik DD422iE will help you maximize utilization of your mine's electrical infrastructure. 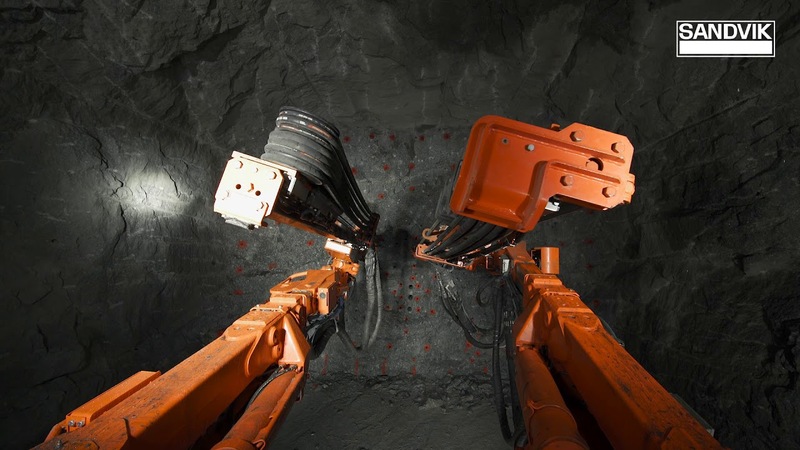 Our revolutionary Sandvik driveline technology enables the battery to recharge during the drilling cycle using your mine's existing electric infrastructure. The battery will even recharge as Sandvik DD422iE is tramming downhill by using energy generated by the braking system. So even if there's a power outage, count on your jumbo to be as charged as possible. Contractors will appreciate the flexibility of the universal electric system of Sandvik DD422iE. Enabled with a multi-voltage compliant system that gives you freedom to move your drill from one country to another, the jumbo easily operates in different networks ranging from 380V – 1000V and both 50 and 60Hz. The molten salt (sodium-nickel chloride) battery technology used in Sandvik DD422iE has a reduced risk of fire and is regarded as a safer system for underground mining use. This long-lasting pack will power your drill efficiently throughout its lifetime. Eliminate emissions during tramming to help reduce diesel particulate matter (DPM), NOx and CO2 emissions in your mine. Cut costs across the board, from mine ventilation and maintenance to fuel logistics and operation. Maximize productivity with active power compensation. Recharge during drilling so you don't pause production. Multi-voltage compliant system creates flexibility to operate virtually anywhere. Improve underground safety with long-lasting molten salt battery technology.